Home > Free > Lindt Facebook Freebie: Free Lindor Truffles! 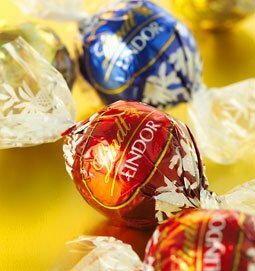 Lindt Facebook Freebie: Free Lindor Truffles! Chocolate might be my favorite freebie we see here on Southern Savers! Today, Lindt is offering a coupon for a FREE 6 oz bag of Lindor Truffles through their Facebook page. To save you some frustration, the offer gave me a blank page in Firefox, but worked in Google Chrome. This is a printable “FREE” coupon, which many of you would have trouble redeeming at your local stores, so you can decide if it’s worth the effort. If you get through to claim your freebie, comment with any helpful details below!